Play the tutorial video on the right and follow along to create the project. Turn in your project below. 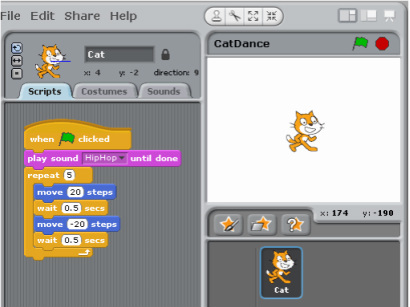 Create your own simple song with a sprite dancing to the tune. 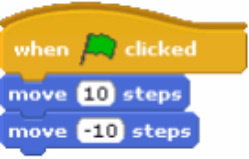 The sprite will move forward 10 steps and then move backward 10 steps. 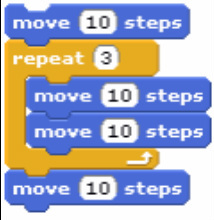 The sprite will appear not to move because there is not a wait block between the move blocks. The sprite will begin dancing forever.